A lot of people are doing a no-spend January. I think it’s a great idea, but am not participating at this time. I had several low-spend months this year, and am re-stocking on some things this month. I plan to have a lower income during the summer, so that’s when I’m planning my low-spend time. However, today, we ran out of tortillas. One daughter assured me there were some in the fridge when I tried to buy them, and another assured me they were gone. They are a)buried deeply in the fridge, or b)indeed gone. I wanted to make enchilada bake for dinner. So, I dug out a bag on masa flour from the stockpile and gave it a try. I love finding ways to use up things I bought for one reason or another, but don’t use regularly. I looked up several recipes on the internet. They were pretty much all the same, with extremely minor variations. 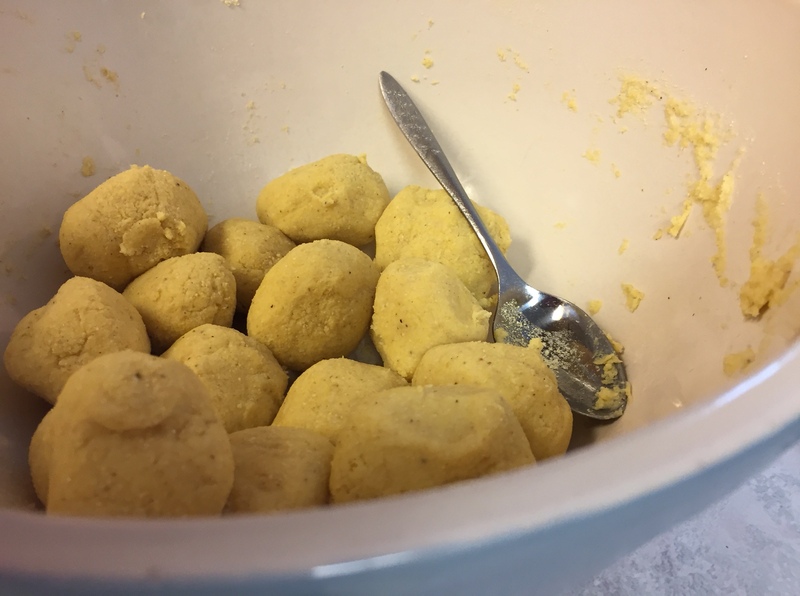 I mixed 2 cups masa (corn) flour with 1-1/2 cup very hot water and a 1/4 teaspoon salt. 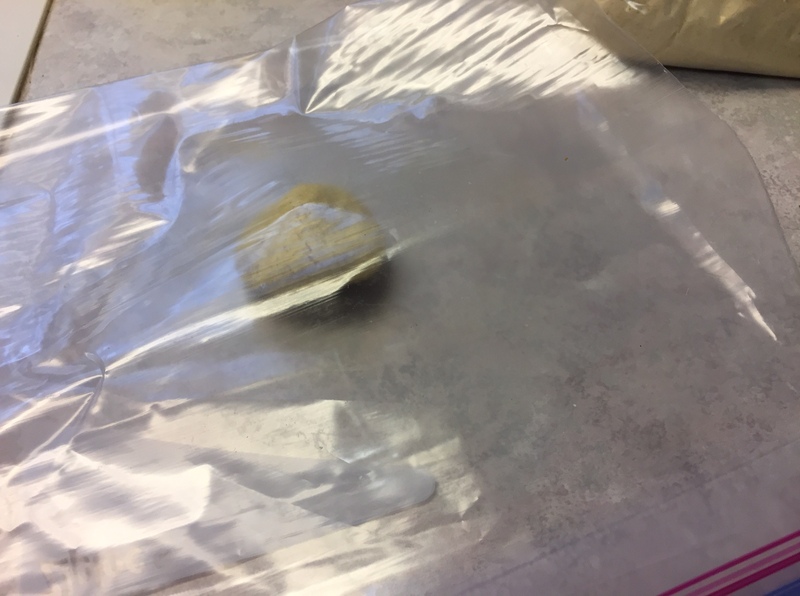 I kneaded it until it was a ball, then pinched off balls to shape into tortillas. I squished the balls with a big pot and some elbow grease. Then I fried them in a pan for about 2 minutes on each side. I used a little oil in the pan. Then, I just layered the tortillas with home-canned chile verde, refried beans, and some leftover beef pieces I chopped finely. After 3 layers, I covered the casserole with cheese and some olive slices. Now, dinner’s in the freezer for Rob to warm up while I am at work! He has a headache today, and I did not want him to have to cook when he gets home. These tortillas are thicker than the ones from the store, and have a slightly different flavor. Still, I ate one for lunch, and they are certainly edible. I’m pretty happy with how my experiment turned out. Previous PostSaving Money–January 15, 2017Next PostSan Francisco, Here We Come! 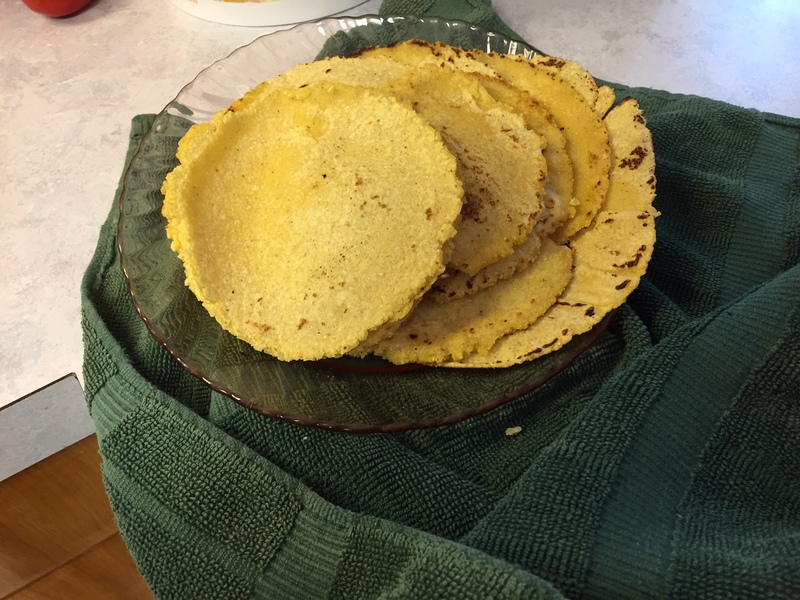 Let’s just say, the kid who thought we had some was very persuasive:) I was delighted to be able to use up some of that masa flour that has been sitting around here forever! I make my own tortillas, too, Becky. I find that they aren’t good for burritos, they aren’t flexible enough. But I think they have a better “cornier” flavor for casseroles. Yes, these were not flexible at all! I haven’t tasted the casserole, but I”m guessing they worked great in there. My family is not a fan of the corn tortillas but love the flour ones. 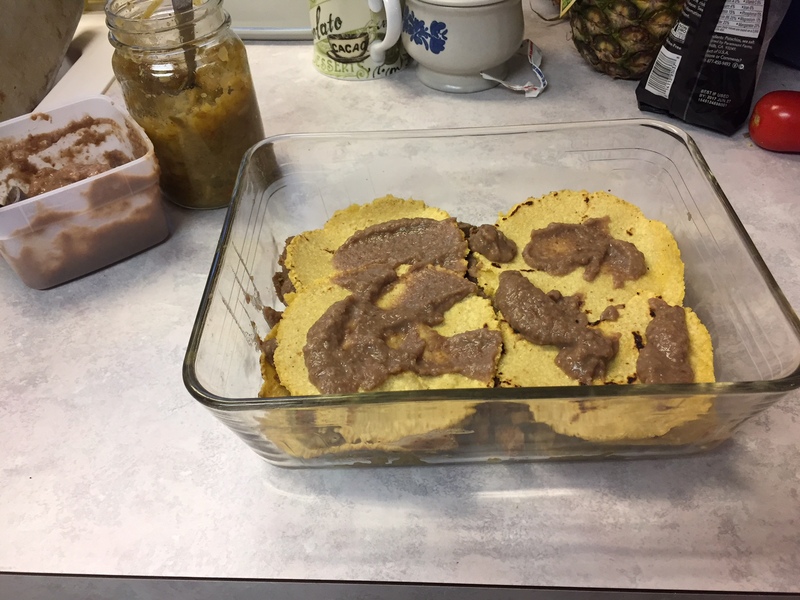 I use the recipe on King Arthur four website and it is so easy and tastes so much better then store bought. Lots of my family like flour ones, too. I am so sensitive to gluten, though, that I don’t even keep regular flour in the house, so that wasn’t an option today. The last time a kid cooked with all-purpose flour, I was sick for 3 days with the flour that sifted on things and so, I only keep gluten-free flour. I do, however, buy things like flour tortillas and regular wheat bread. I just keep them wrapped up and separate. 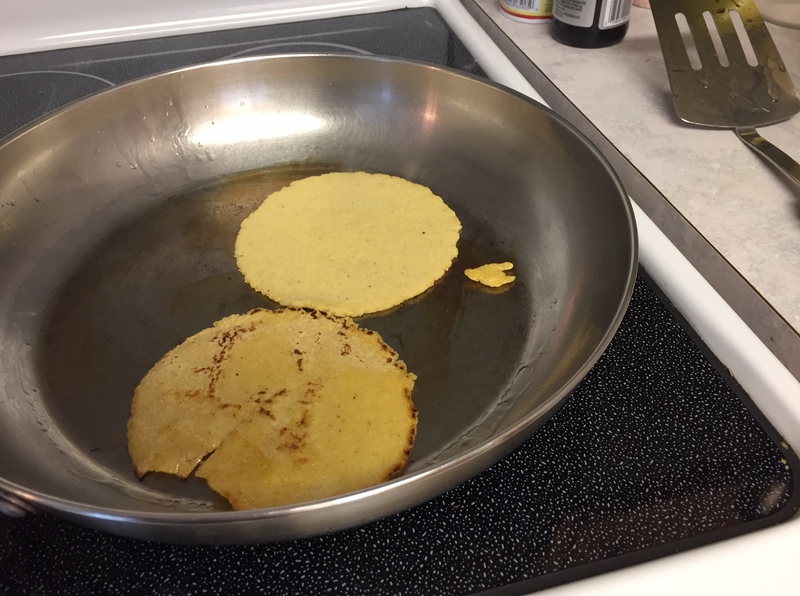 I am very new at this, so am not sure if the masa flour is the same as regular corn flour, but you sure aren’t out very much to try it if the corn flour is just sitting there anyway! It was easy. I think the press would help a lot. The pot worked ok, as well, but I’m sure they would have been more even with a press, and maybe thinner. Becky, do they have to be pressed? Can they just be rolled with a rolling pin? I don’t know, Athanasia. I’ve never made them before. I did press them between that Ziplock that I cut up the sides. I’ll bet if I rolled them, I would still have to use the plastic or waxed paper or something, since they were really soft and would probably stick to the rolling pin pretty bad.